Fabulous North Hollywood duplex minutes from the NoHo Arts District at the end of a quiet street. Fully gated with new landscaping and a long driveway. 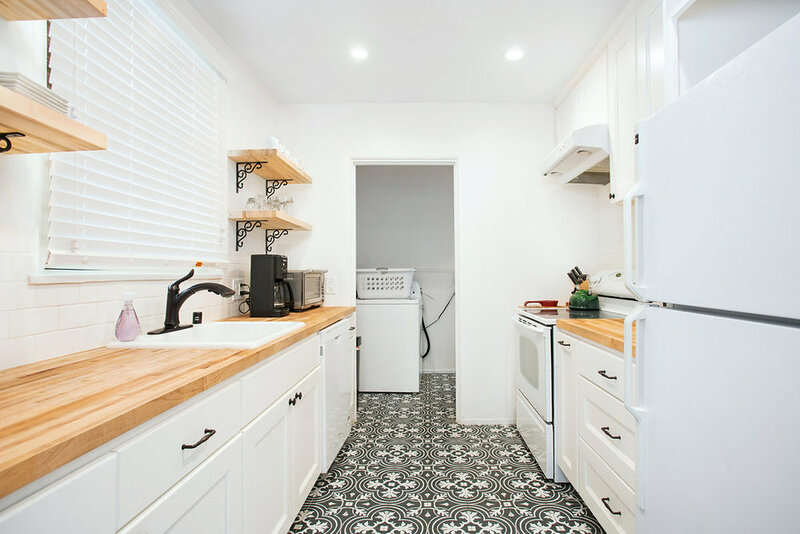 The front unit features an inviting covered front porch and is remodeled with an updated kitchen and bath, two good sized bedrooms, a laundry area and charming period details. The larger two-story back house has a spacious living area, updated kitchen and a 1st floor bed and bath. The upstairs master suite has a large walk-in closet, remodeled full marble bath with separate tub and glassed-in shower. Bonus area off kitchen could be used as a dining room, office or den. Design details include: crown molding, wood flooring, built in shelving and cabinets. Plenty of storage and fresh, new paint throughout. A private bricked porch and shaded backyard seating area is perfect for entertaining and BBQs. The finished garage could be used a playroom, office or extra living space. Close to the N Hollywood metro, studios and FWYs. Zoned LARD 1.5.